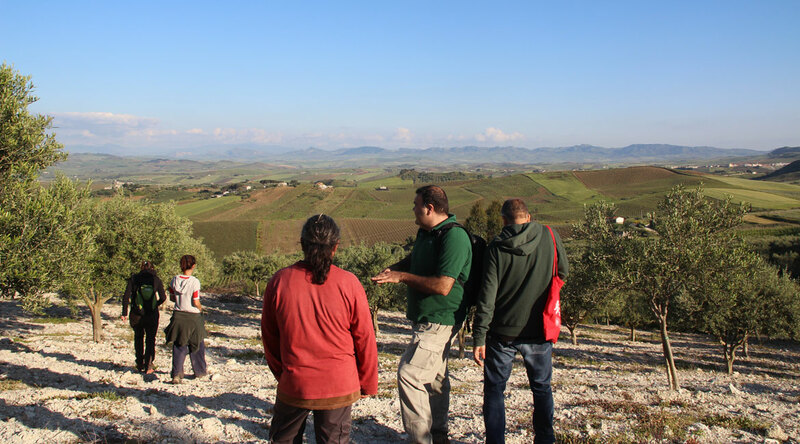 One of the main areas designated for study -by MEMOLA project-, is located on the northwestern region of Sicily and comprises the municipalities of Valderice, Custonaci, San Vito lo Capo, Buseto Palizzolo, Castellammare del Golfo, Alcamo, Vita, Salemi and Calatafimi Segesta. 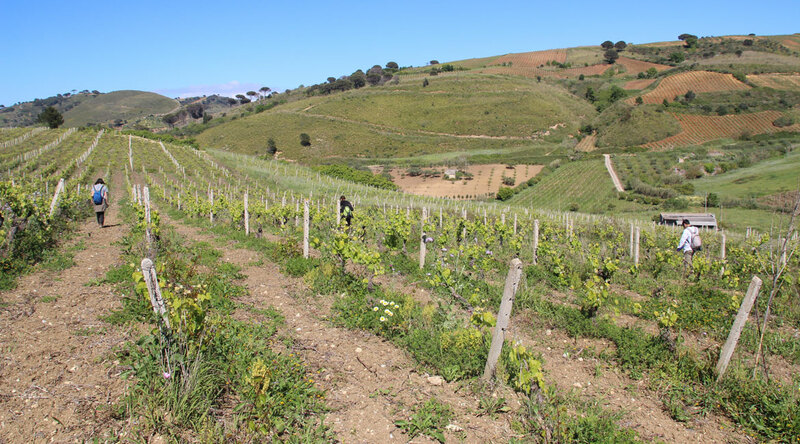 The northern side of this region is characterized by its massive calcareous reliefs (1110 meters from Monte Sparagio and 1064 meters from Monte Inici), which are irregularly distributed, -emerging abruptly from the sea with their vertical walls. Next to this, we find zones inwardly inclined, with smoother and clayish reliefs (such as Calatafimi Segesta y Salemi), alternating with wide valleys and isolated hills (Monte Bonifato, -altitude 825 meters and Monte Baronia, -altitude 400 m.o.s.l). The whole area of research stands out because of its high environmental and faunal diversity. As evidence of this fact, many places within the municipalities of Trapani province (such as Monte Scorace, Calatafimi Segesta Forest, Scopello Farallon, Montagna Grande de Salemi) have been recognized as Zones of Communitarian Importance (Siti di Importanza Comunitaria, SIC). Therefore, we have decided to study this zone in detail using previous archaeological studies as background, carried out by a number of Italian and foreign universities, -although the most important one is a study recently conducted by the University of Granada (UGR) in the municipalities of Castellammare del Golfo and Buseto Palizzolo. Thanks to this previous work we have access to data regarding the landscape organization since the Medieval Age until modern times. Our main goal is to rebuild the settlements network from every epoch, giving especial focus to the Diachronic study, -since Antiquity to modern times-, and the relationship established between human populations and natural resources (utilization of soil and water sources). 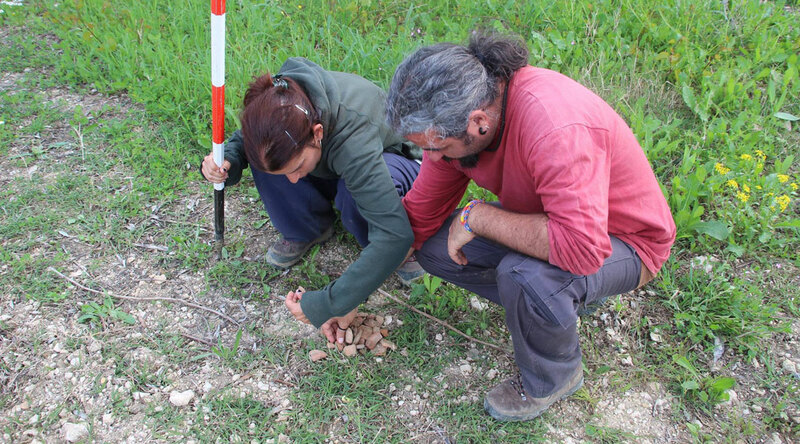 The first archaeological campaign in Sicilia, -in the context of MEMOLA Project-, consisted of an archaeological prospection categorized as “non systematic”. The objetive was to study a sample of the deposits, which characteristics could provide us with relevant data for the research,-while avoiding a homogeneous sampling of the whole territory. 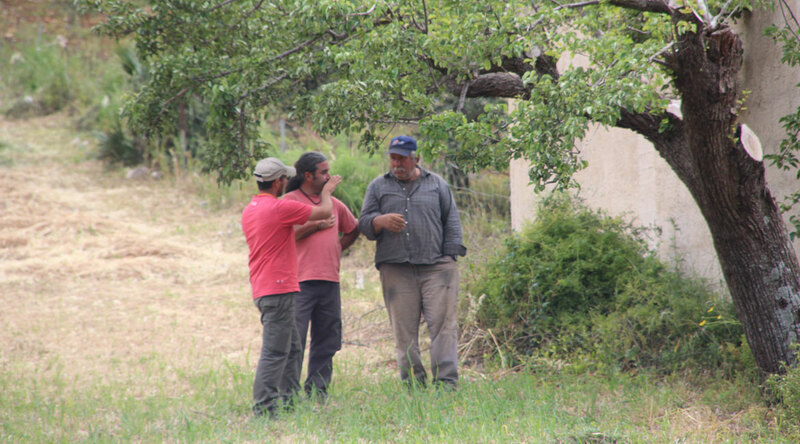 The archaeological survey, -still under conduction-, and the toponymic analysis, have pointed the orientation of this first stage of research, over this whole area comprised between Calatafimi Segesta, Vita and Salemi, and from where the most relevant results are obtained. In a lesser degree -although not less interesting, are the results and data collected in the localities of San Vito lo Capo and Custonaci, which have been only partially surveyed. Located deposits and prospected parcels have been georeferenced by GPS, and then recorded in a database using a Mac tablet equipped with dedicated software, which allowed us to carry on with our work while sampling in the fieldwork. This same dedicated software permits us to establish new prospected areas by plotting them over an orthophoto of the study zone, checking -at each step- the environment where the prospected areas are inserted, visibility of the parcels, etc. and thus, speeding up the processing of data. To achieve this goal, we have focused particularly on the relationship between the deposits and the environment where they are located; consequently, they have been studied and cataloged by collecting data regarding extractive elements, transport and channeling of waters used for agricultural or cattle-raising development, eventual deposits excavated near from the settlements, the relationship between water resources and parcels, water quality, and crop types we have been able to identify. All data collected -both of environmental and archaeological sources-, will be managed through a Geographical Information System (GIS).